Moving to a big, unknown city can be daunting – how do I get around? Where is everything? But fear not, the Unilink bus company is right on hand to take you all over Southampton. 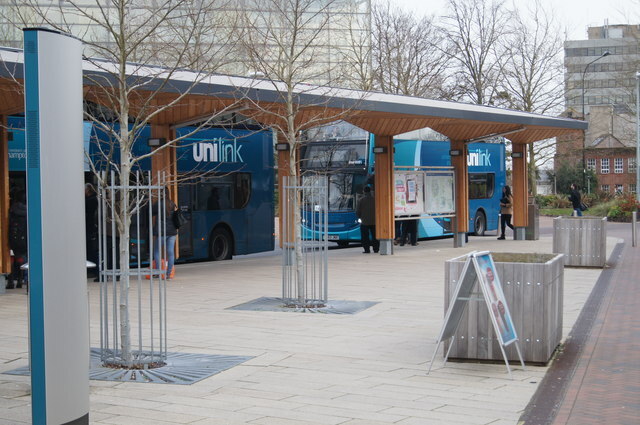 All students going into university halls will receive a Unilink bus pass, allowing them free bus travel for the academic year. Here’s our practical guide to Southampton buses. Credit: Enttauscht, (CC BY-SA 2.0) via Geograph. The U1C runs from the Airport, through the University and City Centre, to the National Oceanography Centre Southampton (NOCS); where ocean and earth science lectures are held. From Highfield Campus, important stops on this route include Portswood; home to Sainsburys, Trago Lounge, Jesters and Sobar, as well as London Road and Above Bar Street with numerous bars and restaurants. This route also includes Bedford Place, Café Parfait and Switch, Southampton Central Train Station, and West Quay Shopping Centre. The U1A runs the opposite way to the U1C from the NOCS to the Airport. From Highfield Campus, the U1A will take you to Wessex Lane Halls and Airport Parkway Station, from here you can access both the train station and Southampton Airport. Airport Parkway is also the stop for Wide Lane, home of University of Southampton sports. From here, simply walk through the train station and cross the road – Wide Lane will be on your left. The U1W (Monday to Friday only) and the U1E can also be used on this route. If you live in Mayflower or Archers Road Halls, the U2B is the bus you need to get to Avenue Campus and Highfield Campus. You can also use it to get to Jesters and Sobar if you get off at Stag Gates and walk down Lodge Road. If you’re feeling lazy, Glen Eyre and Chamberlain students can use this bus to get up the hill to halls from Highfield Campus. The U2 and U2X also run the same route as the U2B on weekdays. The U2C runs the opposite way to the U2B. From Highfield Campus, Mayflower and Archers Road students can use this bus to get back to halls. For those in Glen Eyre and Chamberlain, hop on the U2C at the bus stop right outside halls for the best way to get to Jesters and Sobar, once again, get off at Stag Gates and walk down Lodge Road. You can also use this bus to get to Bedford Place, The Giddy Bridge – JD Wetherspoons, Café Parfait and Switch. The U6H is the bus you’ll need if you have lectures at the General Hospital (or genuinely need medical attention!) The U6H also stops at Boldrewood Innovation Campus, where Engineering students will have lectures. 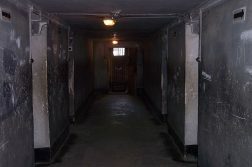 The U6C goes the other way from the General Hospital to the NOCS. From Highfield Campus, the U6C can take you an alternative route to West Quay through Portswood, and past Royal South Hants Hospital and Liberty Point Halls. If you need to get to the General Hospital from Portswood or Highfield Campus before 8:30am, the U9 runs Monday to Friday in the early morning rush hour. It also runs from the General Hospital to Highfield Campus and Portswood just after 4pm. If you’re heading home from Leisure World; most probably after a wild night at Oceana on a Friday or Saturday, hop on this bus at either 1am, 2am or 3am, to get back to Portswood, Highfield Campus, or Wessex Lane Halls. Hopefully this practical guide explaining the bus routes of Southampton will make getting round this new and exciting city a whole lot easier!